Save on a set of 7 Franklin Method® Posters. These posters featuring the pelvis, spine and neck use color and motion to artfully demonstrate the subtle flow and balance of the human body. 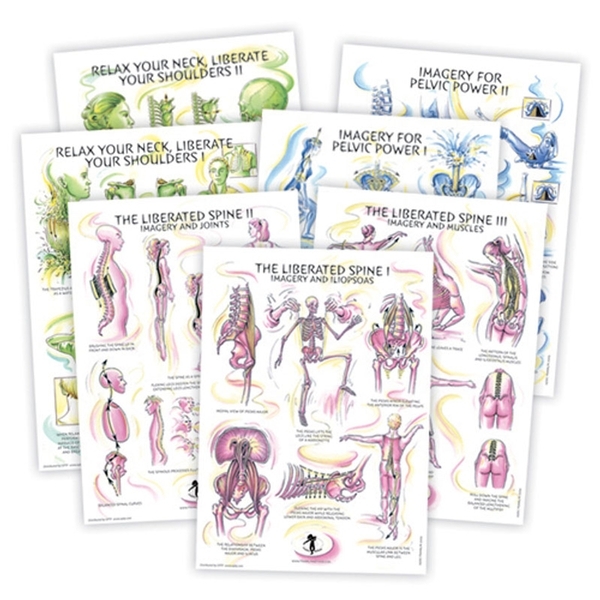 From posture and balance to breath and imagery these educational aids illustrate the mind/body connection. Size: 11 1/2" x 16 1/2"